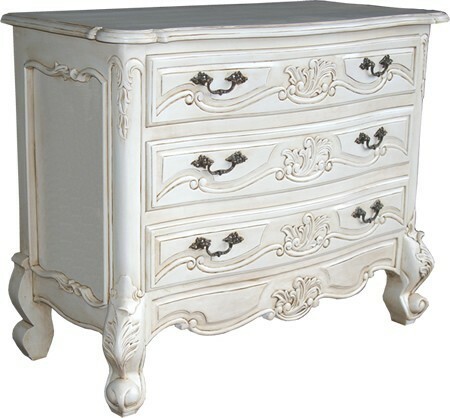 Three drawer Versailles chest of drawers. Hand finished in a tranquil, antique white. 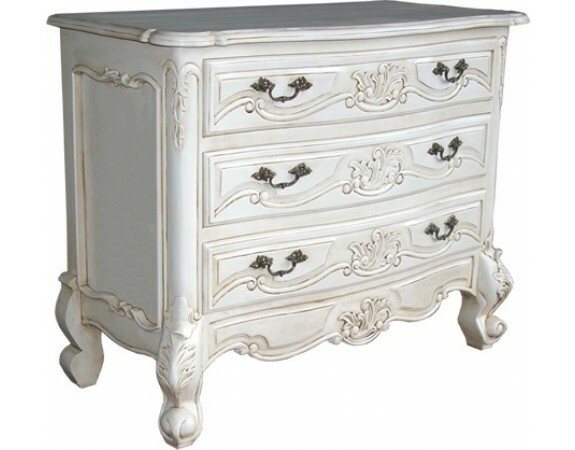 A wonderful addition to our Rococo beds and our Louis XV inspired rattan beds. All our antique white furniture can be mixed and matched across the various collections so this will compliment many items.